The recover process seems to run normal, but towards the end, the computer hesitates to shut down. Then it says, 'File descriptor leaked on LVM invocation'. Trying to start the recovered computer, it won't start, invoking error 0xc0000225. I'm gobsmacked. It's worked problem-free for years. How can I get it running again? Don, welcome to these public User Forums. Please provide more information about exactly what you are doing here when the error message is given? 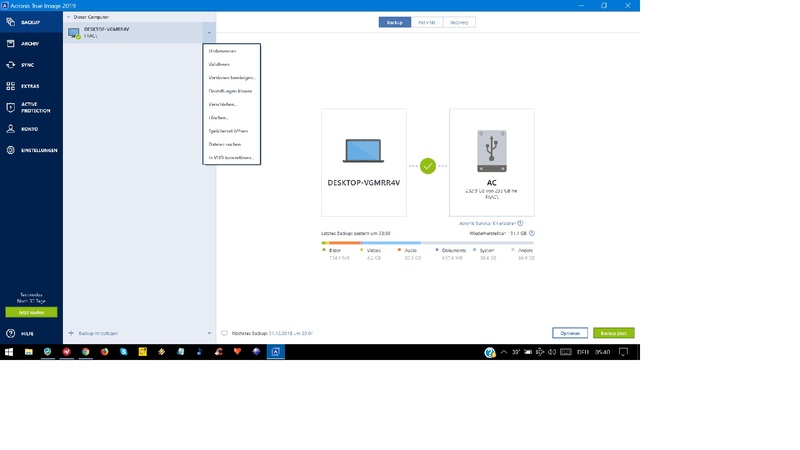 What version & build of Acronis True Image is being used? What version of Windows or other OS is being recovered? What exactly are you recovering? I do not recollect ever seeing any reports of 'File descriptor leaked on LVM invocation' in these forums and cannot find any hits when searching for the same? Most hits look to be more related to Linux / Unix type systems? Hi there - and yes , you're right: Before posting here, I searched myself and hardly found anything, so considered to ask HP instead. But the one thing I did find was that it had something to do with Linux/Ubuntu, and that can't be Windows, was my thought? The first part, thus making the backup of C and EFI, seems to run normal. Also doing the recovery seems normal - until it reaches the end. Then it doesn't shut off within 15 seconds, but hesitates for a while - until this error message appears. It is much longer and subdivided into several USB categories, if I understand properly. Plus there is a second 'section' where he says he can't connect to a network, or something like that. This fills the entire screen. I bought this software many years ago in an emergency from some IT troubleshooter specialist, and it consists of an 1.84 GB IMG file, without further details - except that it is ATI 2016. (Although it always ran problem-free, I see a certain chance that it may not be fully legit.) It has been transferred to a USB stick, from which the notebooks boot in this situation, then load the ATI software. The OS is Windows 10 64-bit. And how do I do it? Well - just follow the options in the windows for the two situations (backup, recovery). You will have seen that I am anything but an expert - just a user with some routine trying to make some sense of it all... If I did not answer a question, then this was not intentional. Please ask again, and more in detail maybe? I bought this software many years ago in an emergency from some IT troubleshooter specialist, and it consists of an 1.84 GB IMG file, without further details - except that it is ATI 2016. (Although it always ran problem-free, I see a certain chance that it may not be fully legit.) It has been transferred to a USB stick, from which the notebooks boot in this situation, then load the ATI software. The OS is Windows 10 64-bit. Don, I suspect that you are correct when you say that the software may not be fully legit! Acronis has never been distributed as an 1.84 GB IMG file to my knowledge, and the only versions that are offered for free are OEM versions bundled with a new disk drive (HDD or SSD) but which are limited in function to work with just that make of drive normally. The Acronis bootable media used by ATI 2016 is based on a small Linux Kernel (BusyBox) so this may have some relationship to the error message. All versions of ATI go through a variety of different builds as new updates are released to resolve issues arising, so I would further suspect that your ATI 2016 is now showing its age, especially in relation to support for the later versions of Windows 10. Normally when migrating a backup of a Windows OS from one computer to a different one, it would be recommended to use the Acronis Universal Restore bootable software to prepare the restored OS to work correctly with the new hardware. With Windows 10 this has become less needed given the greater flexibility of the OS to handle hardware changes. I would suggest that you may need to consider investing in a copy of the latest ATI 2019 software for your ongoing needs for this type of migration - see KB 46984: Current Promo - for details of the current Christmas sale offers! Thanks for giving me a justification for doing something I had considered doing for a while! We all know, 'If it ain't broke...', so this motto had kept the upper hand - until today. 1. I accepted the offer to have my entire notebook backed up, but that was a lot of work, took a lot of time, and it drove my notebook's temperature up into the red area. With the old version, I always backed up C and EFI only, which was about 60 GB and lasted '8 minutes' (or a little more), but didn't see how this can be done? 2. I tried to do rescue media building, but after a while, my attempt ended with an error message. Do I have to prepare the flash drive (how) before this can be done? Don, if you simply click on the Source panel (left side where it says Entire PC) you can make your own selections. You will need to select Disk & Partitions for the type of move you are doing here but if you have more than one disk installed, this is better than including everything. The key requirement for USB rescue media is that it should be between 2GB up to a maximum size of 32GB and formatted as FAT32. If the USB media has been umsised for something else previously, then it will probably need a full format to remove that previous data. 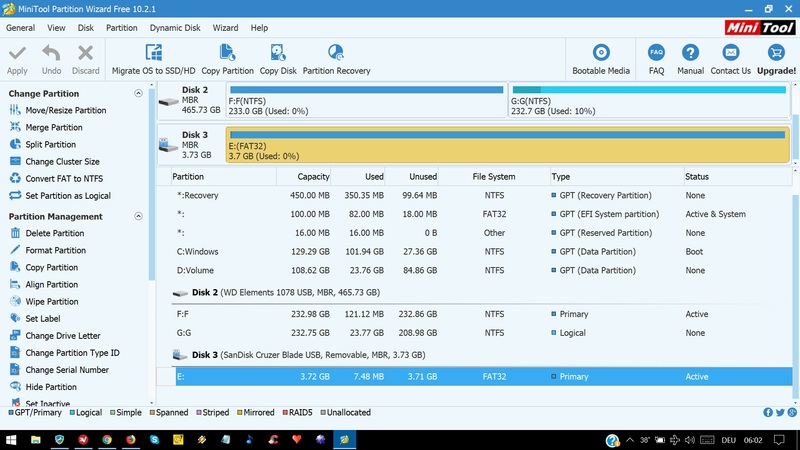 You will need to boot the second notebook from the Acronis rescue media in order to recover your backup image, and the first action when doing a recovery is to wipe clear the target disk drive before any new data is written. Note: you need to boot the rescue media in the same mode as used by Windows to boot, you can check this by running msinfo32 on the first notebook in Windows, then looking at the value shown for BIOS mode - this should be either Legacy or UEFI, but probably the latter given you mention about backing up the EFI partition. See KB 59877: Acronis True Image: how to distinguish between UEFI and Legacy BIOS boot modes of Acronis Bootable Media for more information about boot modes. Thanks, and this may sound ridiculous, but it seems I cannot locate what you call the source panel - see for yourself. Actually, I am pretty loyal to things that I've got used to, thus don't really need the latest version. In other words, is there a serious reason why I shouldn't get ATI 2016 (updated) again? However, when I click on latest build (in downloads at https://www.acronis.com/en-us/support/trueimage/2016/ ), then my impression is that the oldest version available is 2018 (which looks very much like 2019)? And regarding the flash drive, it finished the operation with seeming success this time. After having booted the 2nd notebook from it (and in UEFI mode this time), I get a blue screen with a tiny Recovery written top left - nothing else (if we disregard that it then switches off after a minute or so). Click on your left main panel which will then change to allow you to select whatever source data you want to choose. In other words, is there a serious reason why I shouldn't get ATI 2016 (updated) again? When you sign in to your Acronis account on the main Acronis.com website, what products do you have shown there? You will only have such products if you have registered a valid license key. The latest builds web page will only give a trial version download of the current product. My own USB rescue media shows as below using the same MiniTool program. Thanks. As my source panel did not respond at all, plus the rescue medium was too small as you say, I suspected a faulty installation and repeated the process. This time, it seems the rescue medium has the expected size. And also the source panel does respond, and I could perform the backup. So it looks like a complete success. Thanks again for making me this christmas present, and knowing you could put yourself in someone's shoes very far away may be some kind of present for you too - plus the knowledge that this purchase (to be done) is completely legit this time! Don, always glad to read of good news and success. Have a great Christmas holiday and all the very best for the New Year coming.